Treatment of multiple sclerosis (MS) and other inflammatory diseases may benefit by new findings from a study that identified potential therapeutic targets for a devastating disease striking some 2.3 million people worldwide. Inflammation is an important part of body's response against infections and tissue damage, but unresolved inflammation contributes to the pathogenesis of a variety of diseases and promotes cancer development. The study, led by researchers at The University of Texas MD Anderson Cancer Center, described a protein regulator known as Trabid as an important piece of the puzzle that leads to autoimmune inflammation of the central nervous systems in MS patients. Study results were published in the Jan. 25 online issue of Nature Immunology. 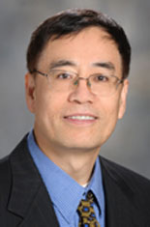 "Our findings highlight an epigenetic mechanism for the regulation of the cytokine genes, IL-12 and IL-23, and established Trabid as an immunological regulator of inflammatory T-cell responses," said Shao-Cong Sun, Ph.D., professor of Immunology. "Trabid appeared to regulate histone modifications by controlling the fate of a histone demethylase called Jmjd2d." Cytokines are small proteins important for cell signaling, and IL-12 and IL-23 are mediators of inflammation and associated with inflammatory diseases. Sun believes that Trabid and Jmjd2d may be potential therapeutic targets for the treatment of inflammatory diseases such as MS.
"Since chronic inflammation is a major risk of cancer, future studies will examine whether Trabid and Jmjd2d also have a role in cancer development," said Sun. Pro-inflammatory cytokines like IL-12 and IL-23 connect innate responses and immune responses and are also involved in autoimmune and inflammatory diseases, said the researchers. The innate immune system, also known as the nonspecific immune system, is an important subsystem of the overall immune system that comprises the cells and mechanisms that defend the host from infection by other organisms. "Cells of the innate immune system including dendritic cells and macrophages, have an important role in regulating the nature and magnitude of adaptive immune responses," said Sun. "They recognize microbial components including various receptors that trigger intracellular signaling events that impact the function of those cells. Deregulated production of pro-inflammatory cytokines by cells of the innate immune system also contributes to autoimmune and inflammatory diseases." Sun's team found that deletion of a protein-coding gene known as Zranb1, which encodes Trabid, in dendritic cells inhibited expression of IL-12 and IL-23, impairing differentiation of inflammatory T-cells. The process protected study mice from autoimmune inflammation.